The restaurant was completely booked out (in record time too - I had to go on the waiting list to score two seats, but luckily they were able to fit us in). We were seated on a table with Eatnik and her +2, and we had the pleasure of meeting the lovely Kate from the blog Eating Melbourne. I'd previously only visited MoVida at night... 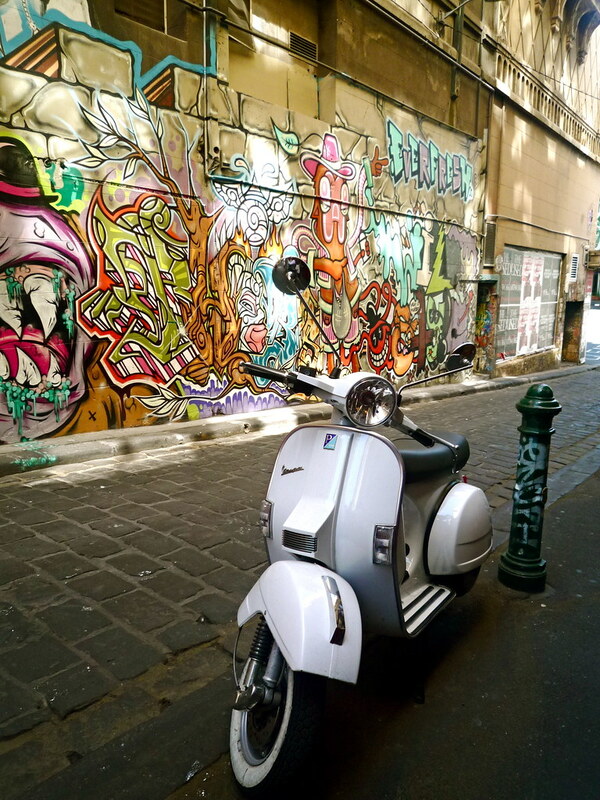 I like the way the sunlight filters in from Hosier Lane. We started off with two cavas. Both 2006 Raventos i Blanc (D.O. Cava Vinos Espumosos (Penedes)): 'L'Heuru' Reserva Brut (light bodied; pale; limey nose; lacks acidity; flinty dry; pleasant hot weather wine (for breakfast?!! ), 15) and then its tinted sibling, 'L'Heuru de Nit' Rosé (pale salmon; strong bead; again a limey nose; ow acid, easy drinking - more mouth-filling, 15.5). 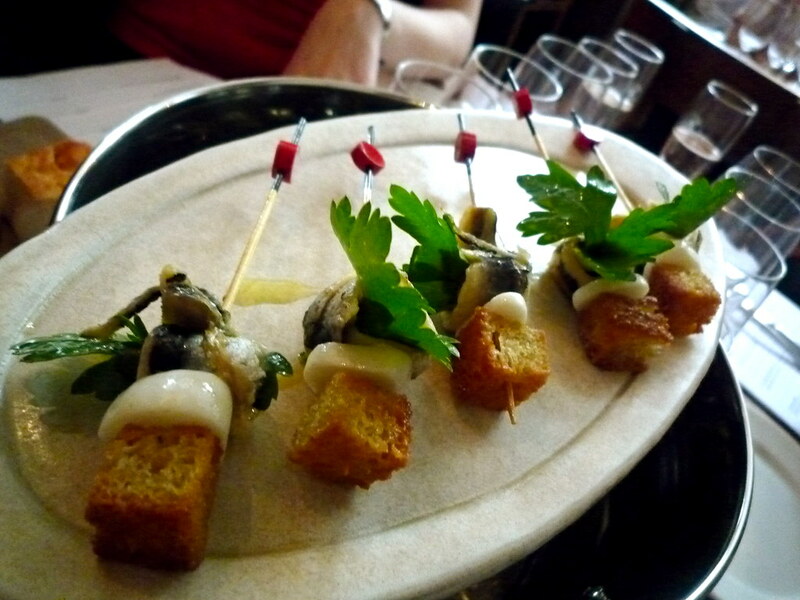 The first tapa was the bouqueron, a pickled white imported anchovy skewered on a pincho with flat leaf parsley, a crouton and a slice of raw garlic. HELLO. From D.O. Sanlucar de Barrameda, the Delgado Zuletta 'La Goya' Manzanilla (dry and nutty as a manzanilla should be; more mouth-filling than in the past, 16+), which Rumpole and I last tasted at the MFWF Cumulus Inc Oyster Class. 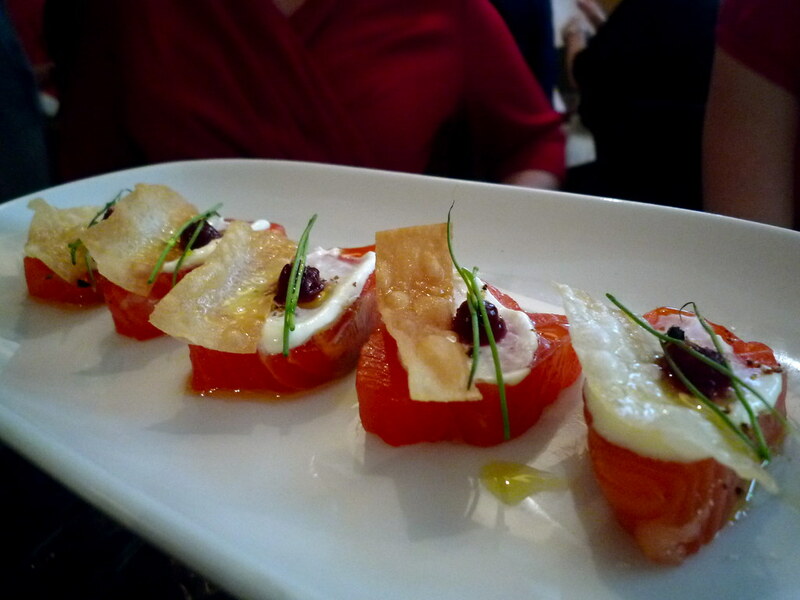 La trucha del océano: ocean trout cured in salt and sugar, served with juniper berry, beetroot cocotte and horseradish cream. 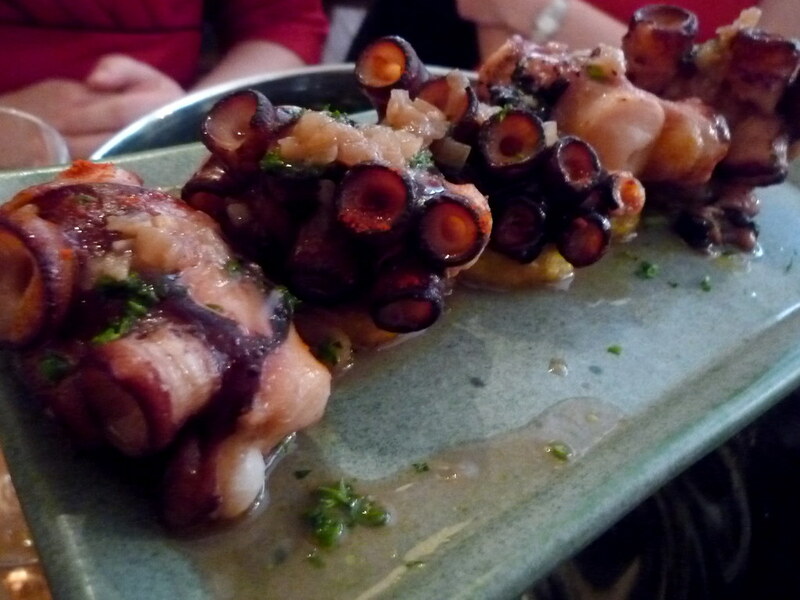 One of my very favourite dishes - it was bursting with flavour. 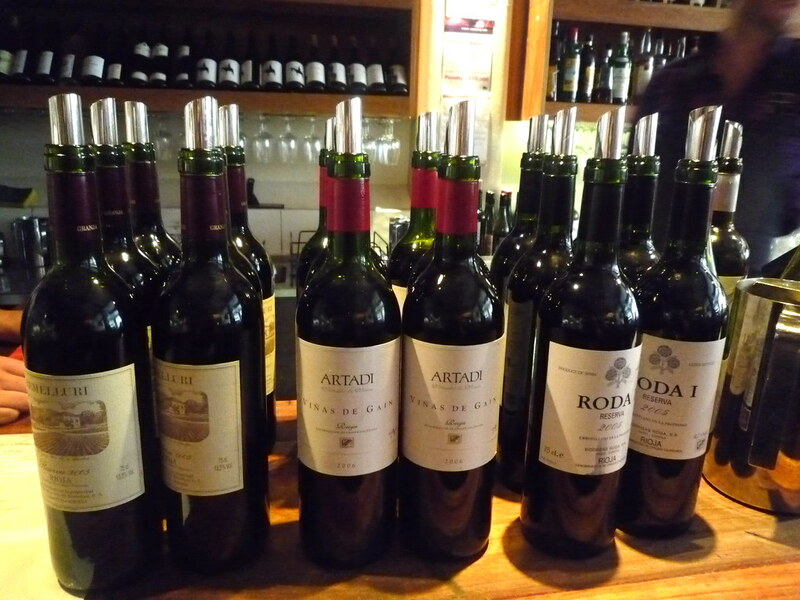 Three wines that arrived at once were the 2008 Orden Tercera Verdejo (D.O. Rueda, nice gold; slightly sauvignon nose; so-so palate, 15-), the 2008 Pazo San Mauro Albariño (D.O. Rías Baixas (Condado de Tea), v. clean (austere); bone dry; some acidity; improved once it warmed slightly, 16) and my favourite, the 2008 Capçanes 'Mas Donis' Rosat de Garnacha (D.O. Montsant, lovely pink; floral; light but good grunt; very drinkable; happy to justify price, 17+). 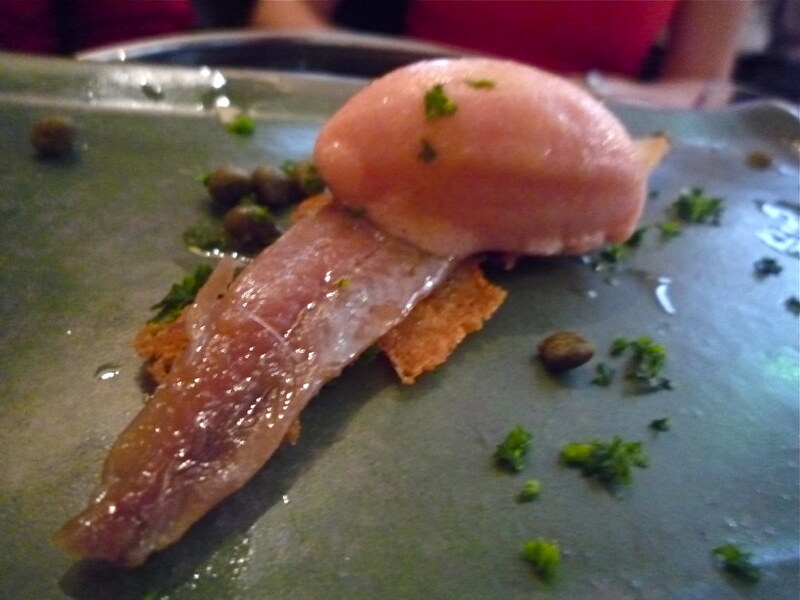 I hadn't had this sensational anchoa dish at MoVida before: a hand filleted Cantabrian artisan anchovy splayed on a crouton with capers and - wait for it - smoked tomato sorbet. Yep. Wouldn't have thought it would work, but it totally did. The soft pulpo (octopus) was slow cooked sous vide, for 90 minutes at 62 degrees, and placed on a kipfler potato pedestal. Here we have the two slow cooked meats: the one on the left was the last of the tapas, the one on the right was one of the raciones. 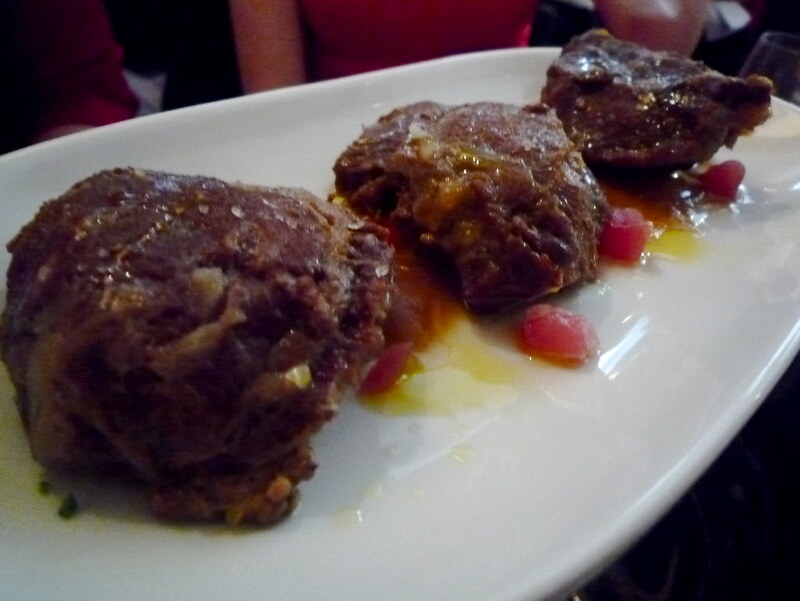 De tenera con atún (left) was veal cheek that had been braised for two hours, served with cubes of yellow fin tuna and piquillo pepper. It may look a little dry but the meat was wonderfully moist and threaded with generous ribbons of fat. 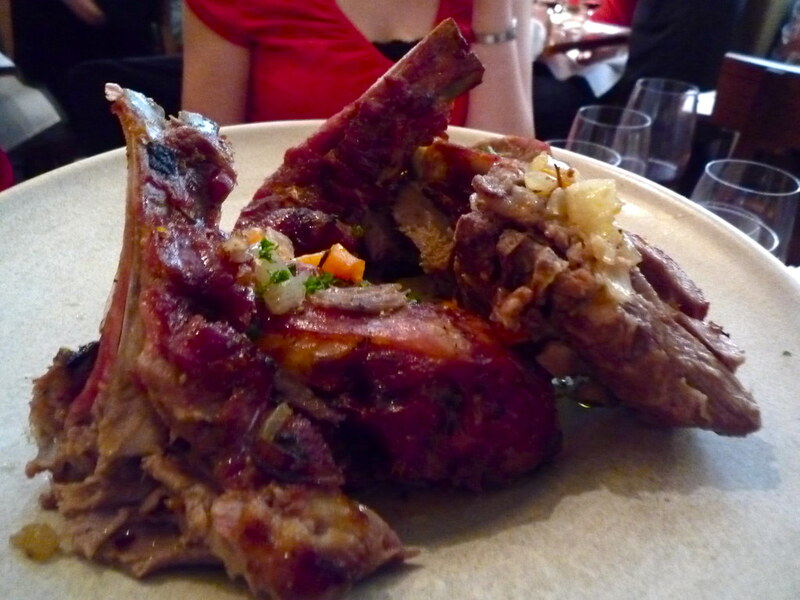 The cabrito, baby goat, had been slow roasted for six hours until it was just falling off the bone. Served with carrot, celery, onion. 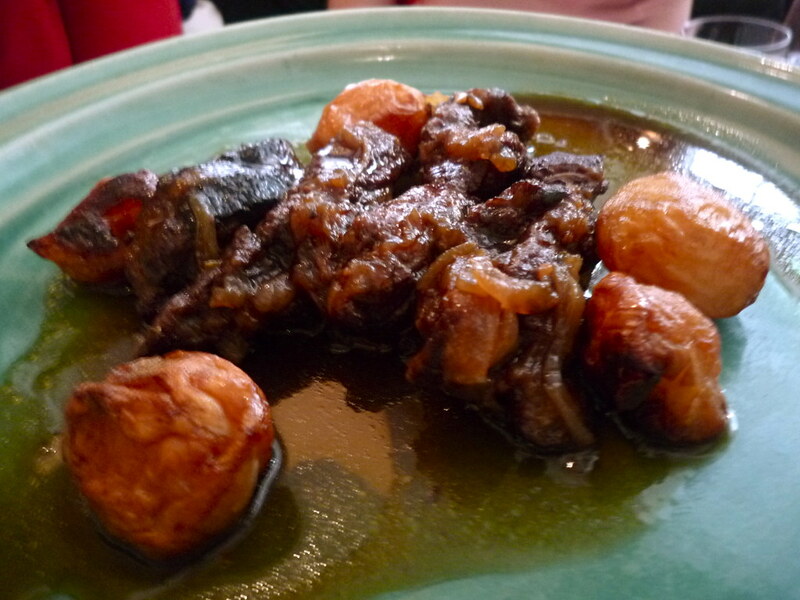 My favourite of the raciones was probably the espárragos, which was gorgeous in its freshness and simplicity. 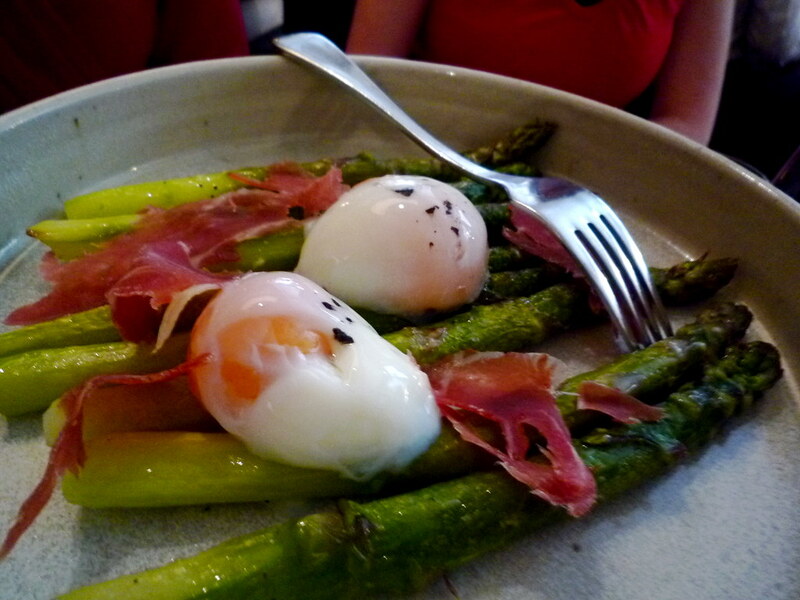 Confit green asparagus with jamon serrano and slooooow cooked eggs (four hours at 62 degrees). 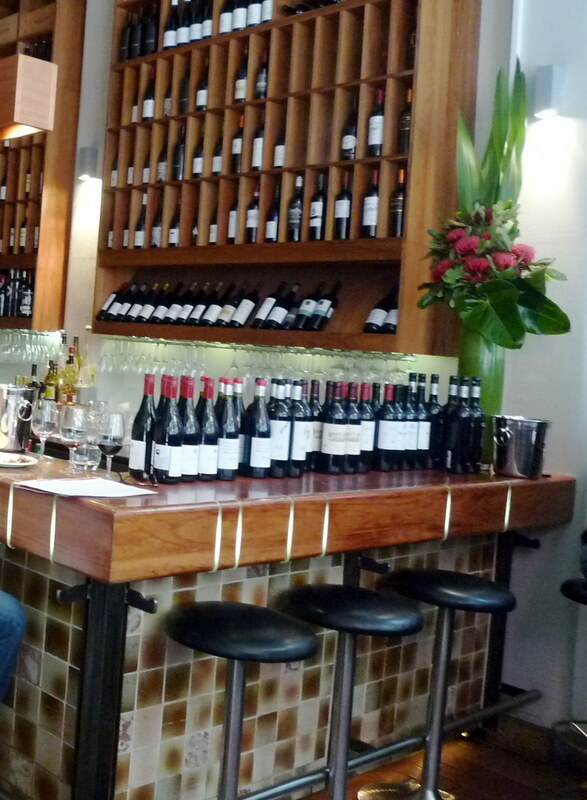 Teamed with the cabrito and espárragos were the first three reds: the 2008 Artazuri Garnacha (D.O. Navarra, lovely perfumed nose; crystal clear garnet colour; mouth filling blackberry fruit; very good wine at this price, 17), the 2007 Telmo Rodriguez 'Gaba do Zil' Mencia (D.O. Valdeorras, rather flat, bland wine; lacks acidity; finishes rather dull; stewed prunes on nose, 15) and the 2008 Telmo Rodriguez 'LZ' Tempranillo (D.O. 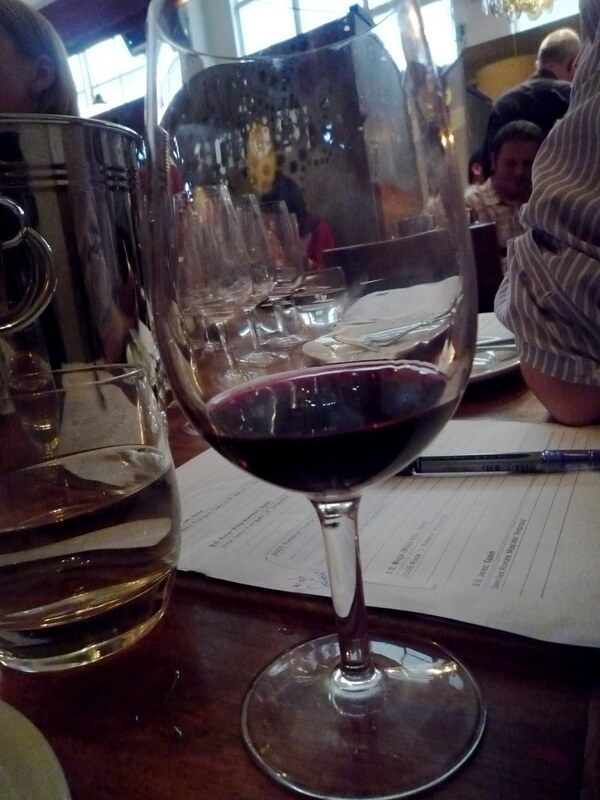 Rioja (Rioja Alavesa), barnyard nose; quite flat on palate; nice balance of briary/blackberry fruit and acidity, 15.5). 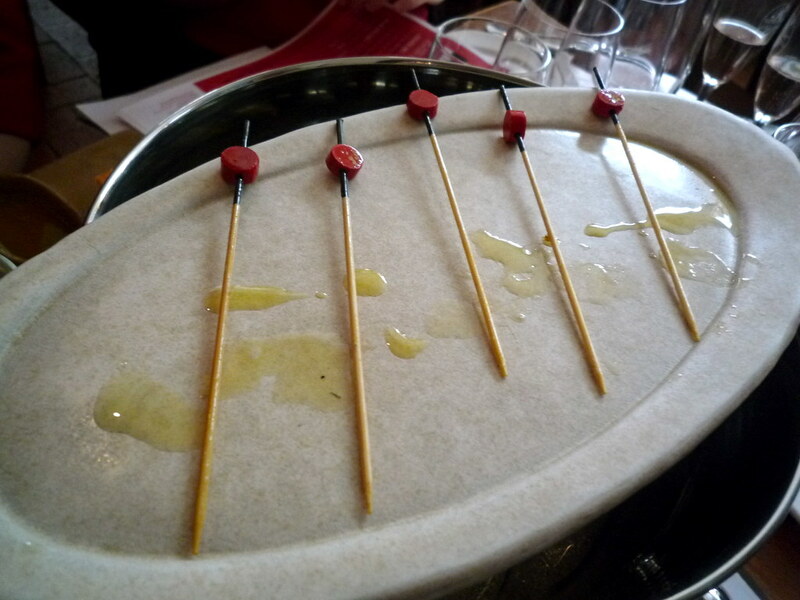 I liked that the two "vegetable" dishes, the espárragos and the menestra, both came with jamon serrano. 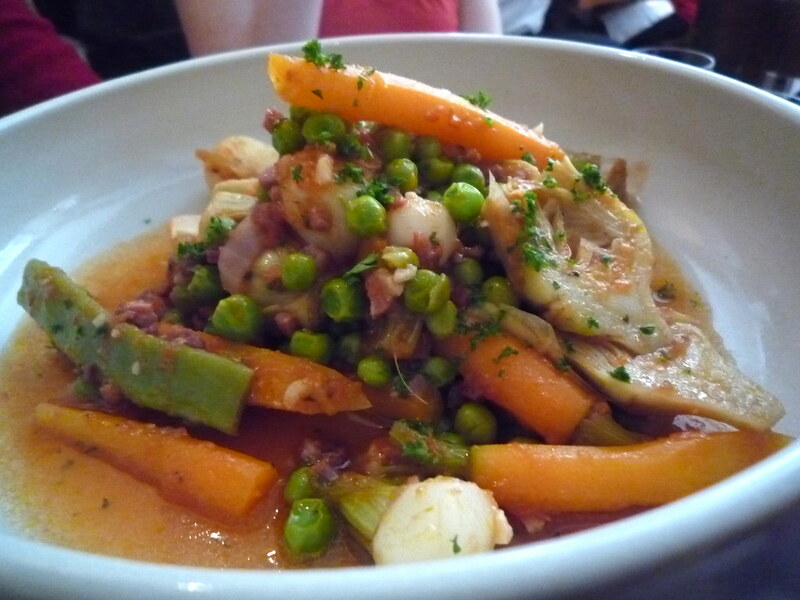 The latter dish was fairly simple, consisting of spring vegetables braised in tomato. And the final savoury dish was yet another slow cooked one: carne de wagyu (9+), intercostal, braised, served with Jerusalem artichokes. Three more wines from Rioja: the 2005 Remelluri Reserva Tempranillo (Rioja Alavesa, single estate pioneer in Rioja, highest vineyard in Rioja, minimal handling, French oak, elegant; sweetish nose of blackberries and raspberries; traces of leathery tempranillo characteristics; beautiful wine, 17), the 2006 Artadi 'Vinas de Gain' Tempranillo (Rioja Alavesa again, unfiltered, unfined, aged in new French oack, modern style, utterly elegant; "like a Prada frock"; lovely balance of fruit and acidity; terrific wine, 18.5+) and the 2005 Roda '1' Reserva Tempranillo (Rioja Alta, blue-black; liquorice; tannic; mouth-filling; elegant; aristocratic; superb wine; some capsicum on the nose - but what a nose! 18.5). 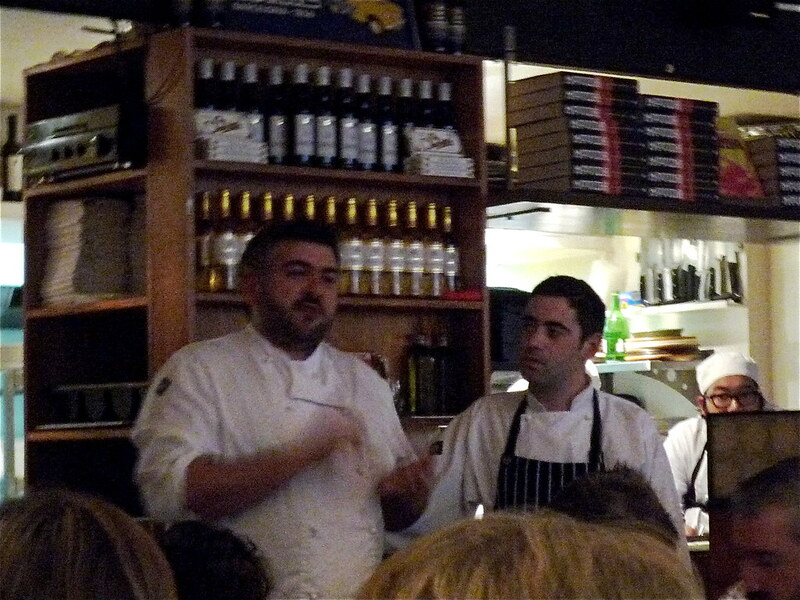 After our meal, executive chef Frank Camorra came out of the kitchen to introduce us to new MoVida head chef Dave Roberts (former head chef at Movida Next Door - I understand the chef rotation is due to the imminent opening of Bourke Street restaurant MoVida Aqui). Dave talked us through the menu. 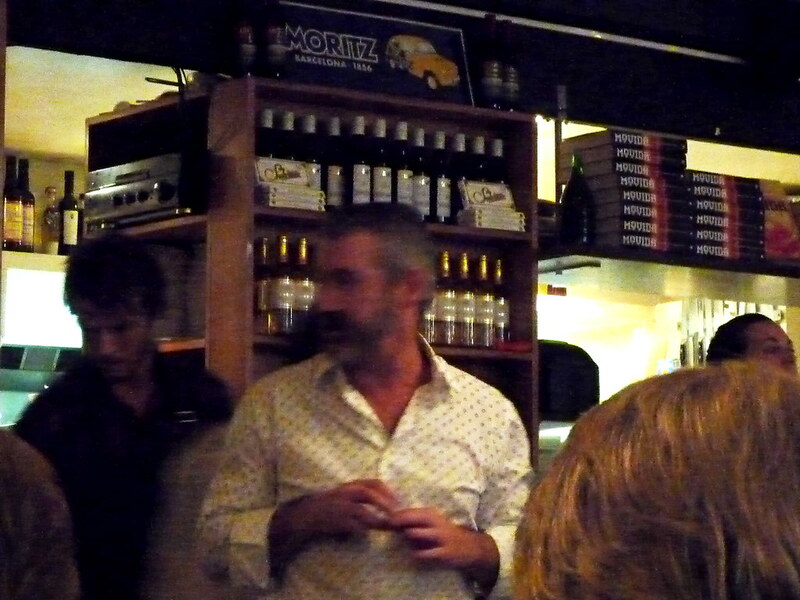 Scotty from Spanish Acquisition rounded off the event by talking us through the final wines. 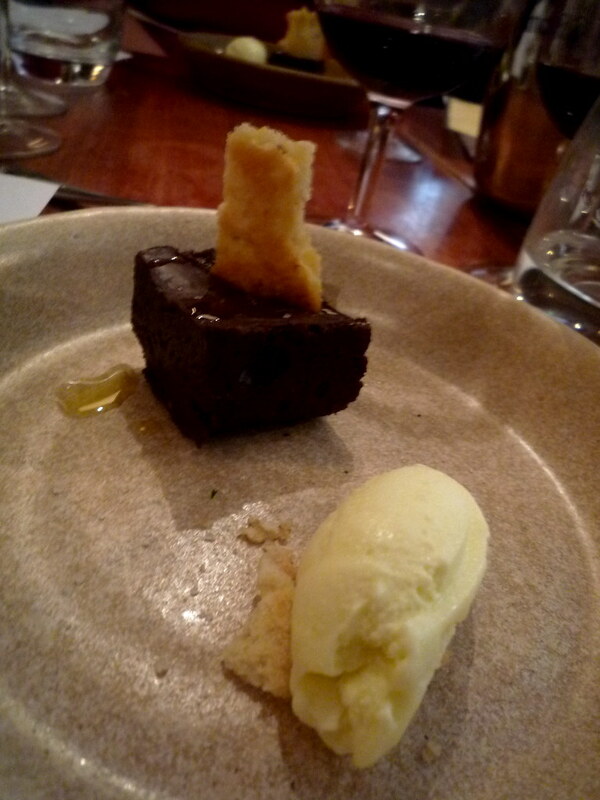 The pan con chocolate was a fudge-like block topped with a fennel biscotto and an unusual olive oil sorbet. 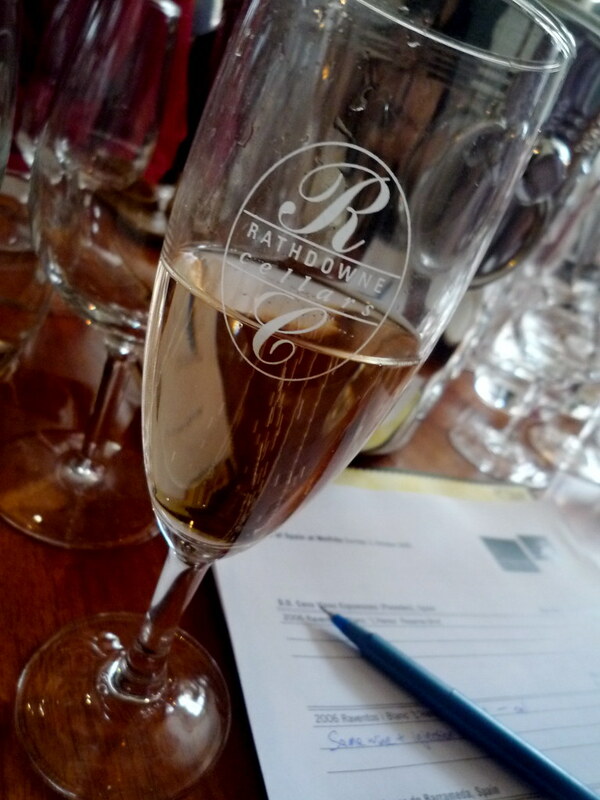 It was matched with the final wine, a sherry: Sanchez Romate Moscatel 'Ambrosia' (D.O. Jerez, toffee nose, with delicious prunes; big style; dried berry undertones; quite acidic undertones - but needed for forward sweet fruit; not as cloying as PX - finishes slightly dry). Great post. I am soooo jealous. Must have been a wonderful lunch. Looks great. 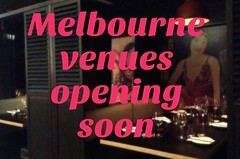 I'm hoping to get to Movida in the near future. 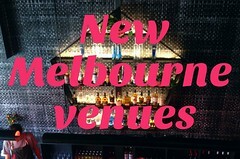 I discovered your blog via the Design Files and have really enjoyed reading your "take" on the Melbourne dining/cafe scene. Do you like Indian food, and if so, could recommend a place that serves dosas and other South Indian dishes? I love Indian food, but the curry houses I've dined at in the city have been far from impressive. Please give your dad my compliments on his wine notes. Ange, I love Indian food! I have an aunt-in-law who is Indian and she and her cousins (who I'm good friends with) have spoiled me in the past with some fantastic home-cooked Indian food. I'm afraid however that I don't have a golden recommendation for Southern Indian food in Melbourne -the best dosa I ever had was in KL. There was a little take away place near my office here in Melbourne that did fantastic dosa, but alas it has closed down. Any recommendations you may have for me would be greatly appreciated! 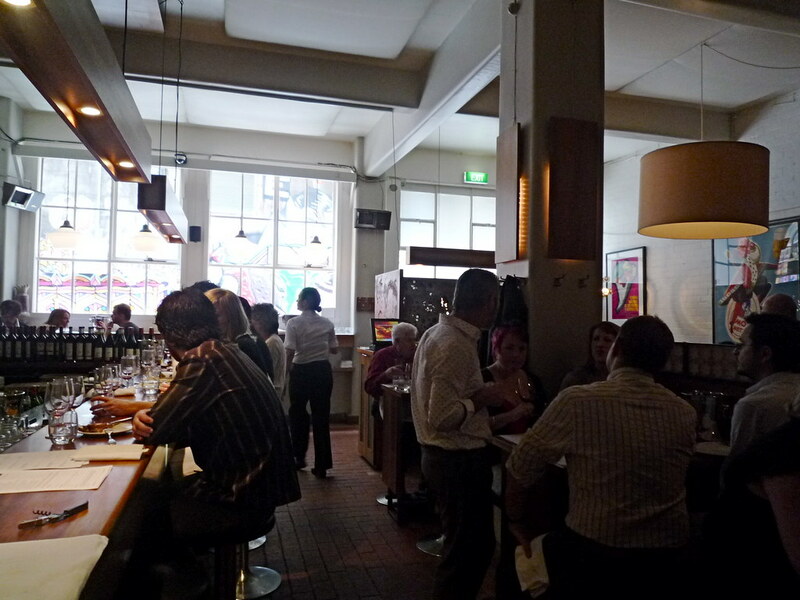 My wife and I went to the new Movida Acqui on Bourke Street, and it's a MUST do!